Just a short one…Box 761 will have what I’m thinking of as “postcards” while we are away… I don’t have the inclination to write long posts, but want a place to put pictures and quickie thoughts. 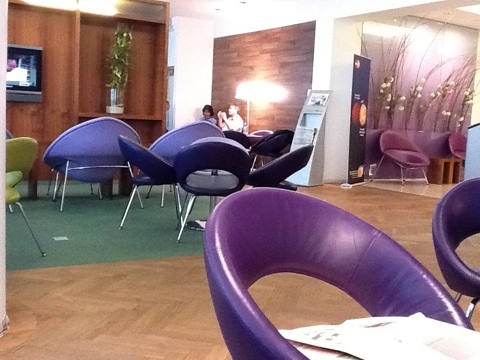 I write this while sitting in the swanky Star Alliance lounge in the Vienna airport. We just arrived after a fairly grueling (cramped, over-warm, middle-seated with screaming child and slightly demented older gentleman across the aisle. The food was bad and the movies weren’t interesting). I LOVED it. It’s all in the process, right? It was nothing a few drinks and a good book wouldn’t cure. 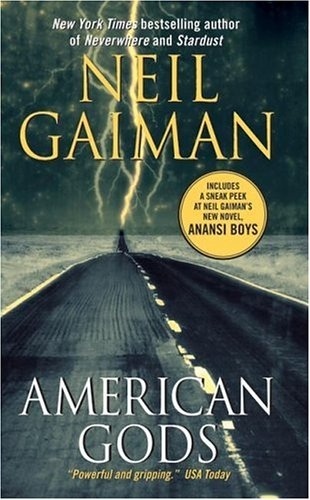 What I’m reading right now is Neil Gaiman’s American Gods (http://www.infinityplus.co.uk/nonfiction/americangods.htm), a novel he wrote a decade ago and which I am shamefacedly just discovering. He is also the mastermind behind one of my fave characters ever – Coraline. Like I said I’m writing this from the lounge. I’ve just finished eating a nice breakkie, and then took a shower. A lovely hot fabulous much needed Star Allliance shower. Doesn’t he look just comfy, cozy! LOL The furniture looks like it’s from the Jetson’s! LOL That was my first thought when looking at it. 🙂 Thanks for the book pitch. After I’m done with the Game of Thrones series I might give it a look. Thanks for allowing us to have a part of your holiday. 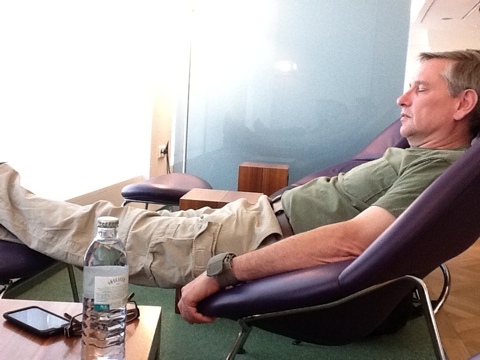 Oh the comfort of 1st class lounge…when I went to Peru the 2nd time we got bumped up to 1st class and there fore had access to the lounge……coming back I paid to go in with my travel companions who always travel 1st class…..oh the shower….nothing felt quite so good as that shower…I’ll never forget it! You and Mark enjoy this trip of adventure and rediscovery!!! Love the banner photo! Have a wonderful adventure. What a great start to your adventure! I agree that it looks very Jetsonesque….groovy! Love the concept of “postcards” looking forward to them. Cheers! Never underestimate the power of a quickie. (: Love the purple. Mabel Murple sooo needs to go there …keep the postblogs coming! Why is he wearing his KAF pants on holiday??? Those aren’t ONLY for KAF. He has made them a way of life, those pants. I think they’re kind of like his purse. Or, man bag, if you will.